If you don't see what you're looking for here, feel free to convo me for custom items. Ready-made PRINT Mesh Ring Sling (water sling)--Ready for immediate shipping. This is an easter present for my son! It turned out way better than I ever imagined! I’m so pleased with this! Bought two sets & I'll never need anything else! Great quality! Specializing in Hand-made Musical Baby Carriers, Cloth Diapers and Wool Longies!!! Jennifer has been sewing for many years (since she was a child, helping her mother) for herself, family, friends and colleagues who have many times suggested doing it professionally and starting a business. After considering it for awhile, her interest in starting her own business grew until she finally reached that goal, while on maternity leave with her first child in 2005. The design for the her first hand-made carrier, the Cozy Cuddler Baby Sling was an original idea, born of necessity, since she couldn't find a practical, yet comfortable commercially made carrier. The design combines both comfort and ease. By making her own Baby Carriers (and then other products) the vision has become reality. Our main website began in 2005 with a very limited product line. Once its popularity and product line grew it became necessary for greater inventory control, thus the Hyena Cart store opened in 2007. As we continue to grow, our branches have brought us here to Etsy in 2012. Jennifer (Brooks) Rice is a mommy of four, who enjoys sewing, crocheting, knitting and playing with her daughter (Lorynne) and sons (Nolyn, Loghyn and Korbyn) all of whom can be seen on our Home Page, modeling our various baby carriers. She and her husband (Bob) live in the Poconos (PA), near ESU with their, two cats (the inspiration for our shop title "The Cat's Meow"), a mini doxie (Abbie), and of course, the kids. Jennifer is the sole designer and creator for the original merchandise sold at this site. Each piece, is lovingly hand-made by Jenn in the attic of her Victorian style home for distribution to you. Her other hobbies include antiquing, motorcycling, rollerskating and teaching (elementary general music, chorus, and drama). Lorynne is the daughter of Designer/Creator Jennifer Rice. She enjoys singing and dancing, coloring, going to school, Scooby Doo, and playing piano and clarinet. Nolyn is Jennifer's older middle child. He enjoys playing with trucks and trains, drawing, music, and Legos. Loghyn is Jennifer's younger middle child, he currently enjoys copying everything the bigger two do, singing, all things "Olaf", "Woody" and "Spiderman". Korbyn is the youngest, born in November 2014. He currently enjoys nursing, sleeping, and wearing Jennifer's cloth diapers and wool outfits. All of the kids personally test each new product design, by putting it through an extensive series of tests, including the spit-up test, the sleeping test, the weight test, the wiggle test, the durability test, the functionality test and the comfort test. When not testing products, their job at The Cat's Meow is modeling various items, including diapers and baby carriers. Welcome to "The Cat's Meow". Have a look around...you'll find a little bit of everything. See an item you like, but would prefer it in a different fabric, style or size? Convo me for a custom or for more options. The objective of our business is to provide high quality, hand crafted products for mothers & babies and reliable service for our customers. I hope you will enjoy visiting our web site and using our products as much as I enjoy providing them for you. Most items* can be returned in NEW condition within 14 days for a refund of the purchase price, or exchanged for an item of equal value. Sorry, shipping costs are NOT refundable! ** Note: Digital items are non-returnable and therefore NO REFUNDS WILL BE ISSUED on PDF pattern files. In the event you are overcharged more than $2 above the actual cost of shipping, those overages will be refunded to you. For custom and made to order items, I make every attempt to prepare your order as soon as it is received, and ship as soon as possible. However, my Etsy shop is not my full time job. I am actually an elementary music teacher, as well as being the mother to three little ones. During the school year, I sew on the weekends and school holidays during naptime. Since am always a mother first, sometimes things happen which can hinder my sewing/crafting time. Orders generally ship within 1-2 weeks of payment. Many times this wait is less, however, during periods of high volume this wait time may also be slightly longer. I'll try to keep you posted if the wait will be longer. International shipments are sent using the best rate for the package size/weight. Most of the fabrics I use for slings are cottons and cotton/poly blends, with some occasional other fabrics thrown in. There are also specialty fabrics such as silk, velvet, brocade and others. I also use 100% polyester athletic mesh for the water slings. If you have a question about the fiber content of a specific fabric, please contact me at jenncatsmeow [!at] yahoo.com. 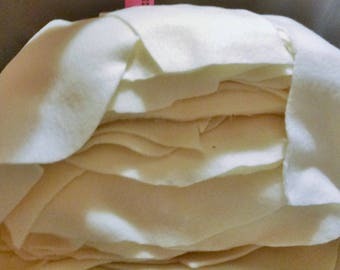 For diaper making I use a variety of materials including microfleece, suedecloth, assorted velours (including poly, cotton, and bamboo), cotton flannel, PUL, Fleece, microfiber, hemp, and wool. I also use a lot of recycled materials to help the environment including recycled wool and microfleece sweaters, recycled t-shirt jersey, and recycled flannel sheets. When caring for the earth, every little bit helps. Yes!!! Simply e-mail me at jenncatsmeow [!at] yahoo.com to make custom inquiries. I can adjust many things to your liking, just ask. 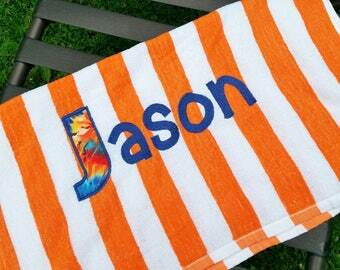 The most common custom request is fabric/color choices. Try me! I use rings from a company called SlingRings in both their aluminum and nylon varieties. They are specifically designed and approved for use in baby carriers and have been thoroughly tested to withstand the weight of your baby and/or toddler. (In fact, they are rated to withstand much, much more...) They are available in a variety of colors. Both are equally safe and effective for use in baby carriers. It comes down to a matter if personal preference. The nylon are a little thicker/bulkier. They will not set off metal detectors when traveling. Also, the nylon are a little easier to adjust, but may need to be snugged up slightly once in awhile with a quick little tug throughout the day with some fabrics. However on coarser fabrics they can be a little "grippier". They are also a little easier on the inside of the dryer if you plan to machine dry. The aluminum are a bit more sophisticated/sleeker in look. The aluminum is slightly smaller, so they have a tad more grip, which make them a little more secure, especially with thinner/slicker fabrics, but also a little more difficult to adjust quickly. Some people prefer the nylon for ocean water use. While both types are safe for chlorine use, some worry about the aluminum and possible oxidation with salt water. Personally, I've used both over the past 9.5 years of making, selling and using slings with my own kids. I've been using my aluminum ringed sling through all four of my children, and they still look like new, without any oxidation whatsoever. And, I can comfortably wear my nylon ringed one securely without fear of slippage, so it really does come down to a matter of personal preference...I haven't had a problem with either type and find them to both function equally as well. 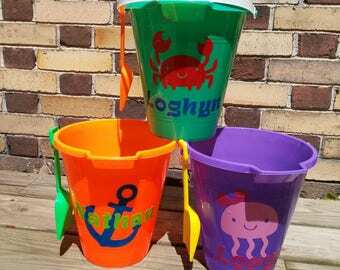 They also vary in available colors, although some colors are available in either nylon or aluminum. The recommended weight limit for most baby carriers (including mine) is 35 lbs. By the time a child reaches the 35 lb weight limit, they are usually more interested in walking on their own and don't have much interest in being worn in a carrier. I have personally tested my carriers up to about 60 lbs with my daughter when she was about 8 years old. While the carriers themselves are structurally sturdy enough to endure the weight....my back and shoulders were put to the limit with that much of a load and I could only manage to wear her for a short time. How do I decide between regular & Plus sized MT's? Regular vs. Plus...If you are a particularly "fluffy" momma or daddy, then you may want to go with the PLUS sized carrier. This option adds a slight bit more to the body of the carrier, as well as longer length to the straps for a better fit. All of our Asian Baby Carriers, as well as our Ring Slings come with padding in the shoulder areas. We also offer additional padding options. Padding in the MT itself (leg & headrest) and in the Pouch leg rails is more for baby comfort and support. It is not Necessary, but some moms (and babies) prefer it. If you go with the shorter body MT with a very young baby for example, you may wish to have headrest padding to provide more head support. Or, if you have a child with particularly chubby legs, you may wish to go with leg padding in your pouch or mei tai. It gives just a little bit of cushioning, so that the fabric doesn't not dig into the leg. I have used both with my daughter and have not had any problems with or without padding. Many moms use MT's without padding and love it...actually finding the padding annoying. Others refuse to go without it. As far as padding in the mei tai waist straps; that's for mom's comfort. This helps fluffier mom's keep the straps from cutting into the waist. It also helps to keep the waist straps nice and flat, so they don't bunch up. I am a fairly thin mom (somewhere between an 8 & 10) and haven't had a need for padding in my straps, and prefer to go without it. Many larger moms do just fine without it, as well, provided they keep the straps flat when tying them. It's just an option I offer for those who prefer it. Here I have answered some frequently asked questions and provided you with some things to consider for your own (and your child's) preferences. If there is anything else I can answer, please contact me at jenncatsmeow [!at] yahoo.com.